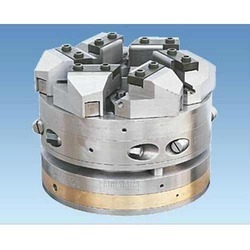 Pioneers in the industry, we offer bolt threading die head and pipe threading die head from India. We manufacture a diverse range of Bolt Threading Die-Head that is manufactured using high quality raw material under the guidance of experts. 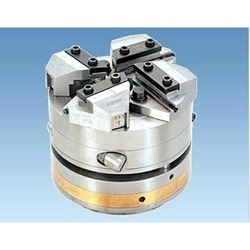 This threading die head is available in assortment of types with us such as pipe threading die head, bar threading die head, bolt threading die head and rebar threading die head. Our range is highly demanded in the market due to its superior functioning and longer operational life. These are available at market leading prices. Capacity: ¼" to 1", 3/8 to 1½", ½" to 2½" & 1" to 4"
We offer Pipe Threading Die-Head which are used in various applications in many industries and well known for their longer service life and robust construction. Clients can avail these products in different dimensions and are tested before dispatching to our clients. We offer these at market leading prices. They are highly appreciated for salient features like precise dimensions and durability. Capacity : 2½" to 6", 4" to 8" & 10".